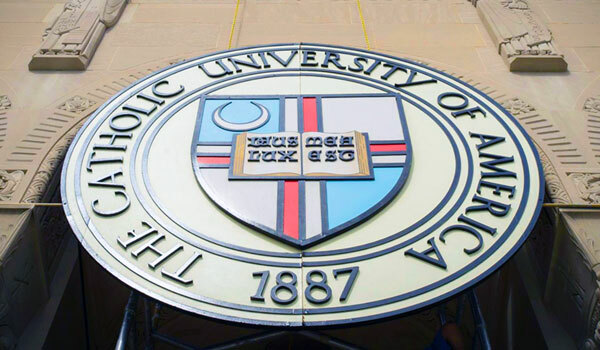 The Catholic University Department of English grants the Doctor of Philosophy in English Language and Literature, offering training in all major historical periods. Advantages of the graduate program include: an excellent record of employment for doctoral recipients, small class sizes, and individualized attention from a distinguished faculty, funding for up to seven years of graduate study, strong pedagogical training, and access to some of the nation’s finest libraries and research collections. The Ph.D. in English is conferred upon completion of 54 credit hours of coursework following the B.A., and a comprehensive exam consisting of three parts: literature of an historical period; literary theory and the history of criticism; and an individualized field in which the dissertation is to be written. The dissertation, a substantial piece of original research, gives the doctoral program its capstone.